Sangeet night is the most awaited night of a wedding. the last moment dance practice, the selection of songs, sharing of videos for those who are far away, these incidents weave some magical memories that you ae going to remember forever. Then when the day arrives its time for the performances and the most special one is? You guessed it right. It’s the couple dance of the sangeet Sandhya. This is for all those couples who want a hatke performance on their wedding. 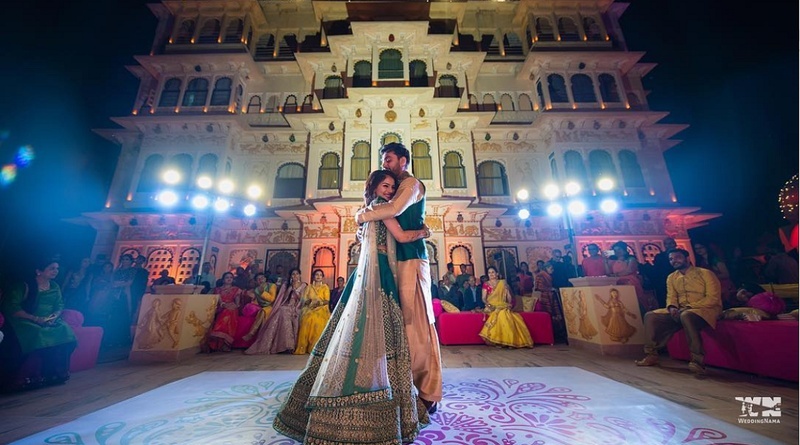 These couple dance songs for sangeet are those that are filled to the brim with romance. A performance on these couple dance songs for sangeet sandhya will keep the audiences glued to the stage while the camaraderie will keep soaring high! Here are our top picks for couple dance songs – Bollywood!